I was really dissepointed in the cosmetics/skins and things coming with Ered Mithrin Expansion. I mean it's The Iron Hills and it looks like the guards are wearing some low quality minecraft outfits. Such an awesome opportunity to finally add some nice looking Dwarven Heavy Armour and that is what we got. I don't think I have come across anyone in-game that wears those as cosmetics. I feel that lately LoTRO has lost one of the things that still made it very unique and relevant as far as art/graphic goes. Namely any devoted artist making really nice looking gear and outfit skins. Look at the two last Festivals (1 festival and 1 anniversary). Both very lacking in that department. The anniversary not even getting any new mount at all. Mordor gear looks was not very good looking either. I rarely see anyone using them as cosmetics over their gear (some use the ultimate versions cosmetics but not the in-game ernable stuff). The whole Ered Mithrin expansion, very lacking as far as gear look and outfit design goes. 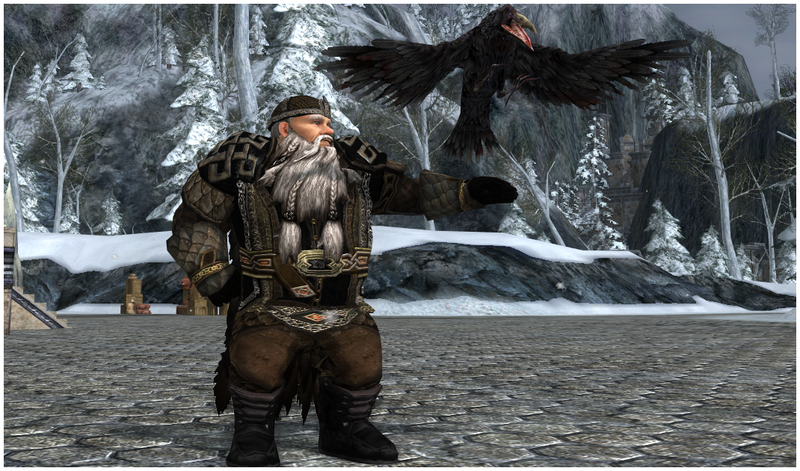 Where are the brilliant LoTRO artists that created the Rise of Isengard outfits, or the whole specific class Armour set looks of Dunland and such ??? https://lotro-wiki.com/index.php/Dunland_Armor_Sets Even all the way to Minas Tirith there were nice designs in each region. Even good looking Minas Tirith inspired PvMP gear in Ettenmoors at LvL 100. Since then it's gone mostly downhill on designing good looking gear in my opinion. Last edited by Lord.Funk; Yesterday at 11:35 PM.